Murwillumbah trainer Matt Dunn believes Divine Unicorn can be a player in Melbourne carnival races. 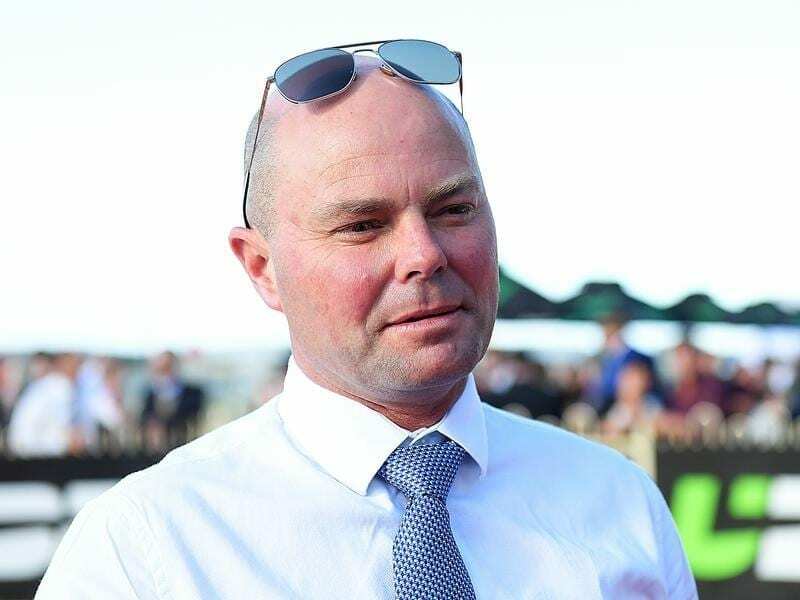 Trainer Matt Dunn hopes to parlay his second best day at the races into even bigger success in metropolitan centres in coming weeks. Dunn trained 4-1/2 winners at Friday’s Murwillumbah Cup meeting including two trifectas and two quinellas. He had to share the Murwillumbah Cup when Zamex dead-heated with Future Event. “My best day was six winners and a nose second at Murwillumbah earlier this year. But to have 4-1/2 winners or five if you like to count that way was special on our home track,” Dunn said. The trainer heads south this week with Saturday’s Caloundra winner Divine Unicorn who begins a campaign to reach the Caulfield Cup by first running at Moonee Valley in a fortnight in the Dato Tan Chin Nam Stakes. “He is a magnificent type of horse who has plenty left in the tank,” Dunn said. Dunn also welcomed Kosciuszko favourite Care to Think back to his stable but he won’t trial for at least a month. “He will go into the race fresh with one trial and a jump-out,” Dunn said. His other main chance in the $1 million race for country horses at Randwick on October 13, Snitz, will take a different path. “Snitz will need at least one run before the race to make certain he can get in,” Dunn said.